Portsmouth midfielder James Dunne has joined League Two side Dagenham & Redbridge on a month's loan. 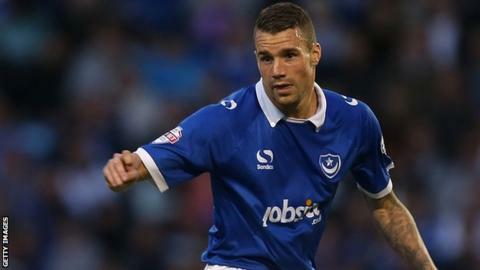 Dunne, 26, has not featured for Pompey since their League Cup defeat by Reading in August - his only first-team appearance this season. "He'll bring a competitive edge and energy to the group," Daggers boss Wayne Burnett told the club website. "I'm absolutely delighted that we've managed to get James down for a month. He's someone I know very well." Dunne, who is available to make his debut against Luton on Sunday, moved to Portsmouth from Stevenage in June 2014. He began his career at Arsenal and subsequently had a three-year spell at Exeter.